A small plane crashed at the San Carlos airport late Friday. Sergio Quintana reports. 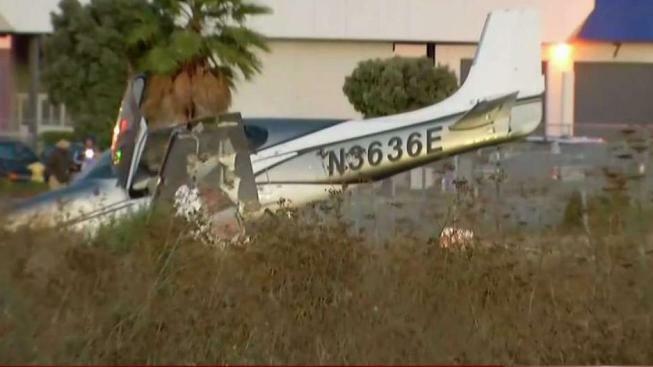 No injuries are reported after a small plane crashed late Friday at the San Carlos airport. A San Mateo County Sheriff's Deputy on scene said the single-engine plane overshot the runway at the airport. Allen Kenitzer with the Federal Aviation Administration said preliminary information shows the plane, a Cirrus SR-22, ran off the end of the runway while attempting to depart. "The aircraft went through a fence and came to rest in the street," Kenitzer said. Authorities said two people were onboard and were not injured in the accident. The FAA and National Transportation Safety Board will be investigating the accident.